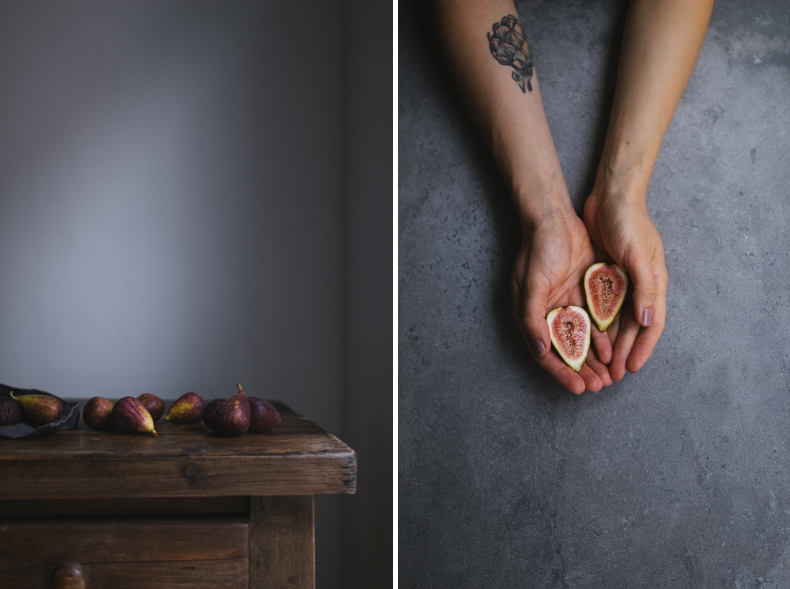 Fig season is one of the best seasons! I think the best way to eat them is just raw, or adding to salads or place on the top of bruschetta with goat cheese and honey. 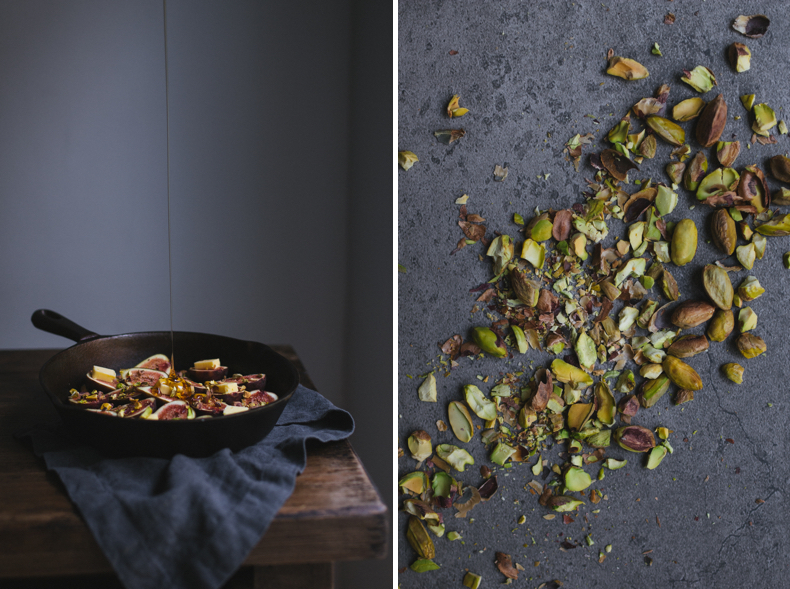 I’ve roasted my amazingly ripened figs with honey and pistachios. It’s a very simple way to get a delicious dessert or make morning porridge more appetising! Preheat the oven to 165C degrees. 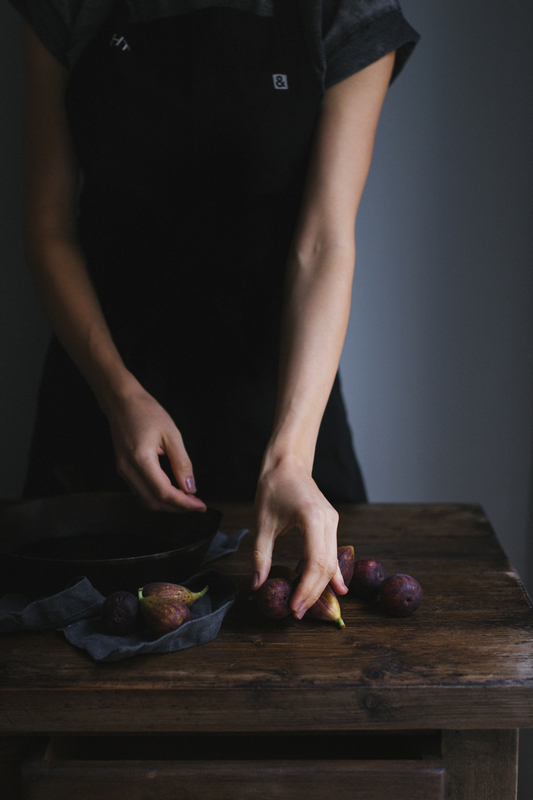 Wash the figs and cut them to halves. Grease the pan with the butter. I used 24 cm diameter iron cast pan. 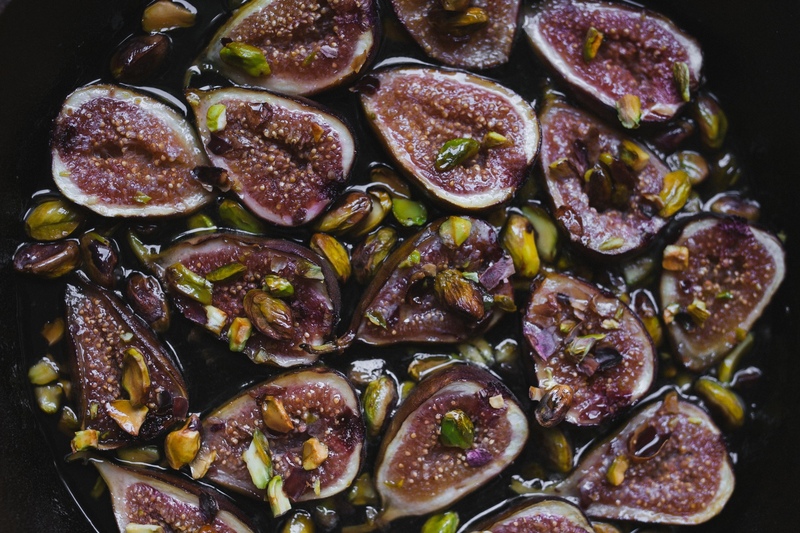 Sprinkle figs with pistachios and pour the honey on the top. Cut the butter (30g) and place it on the top evenly. 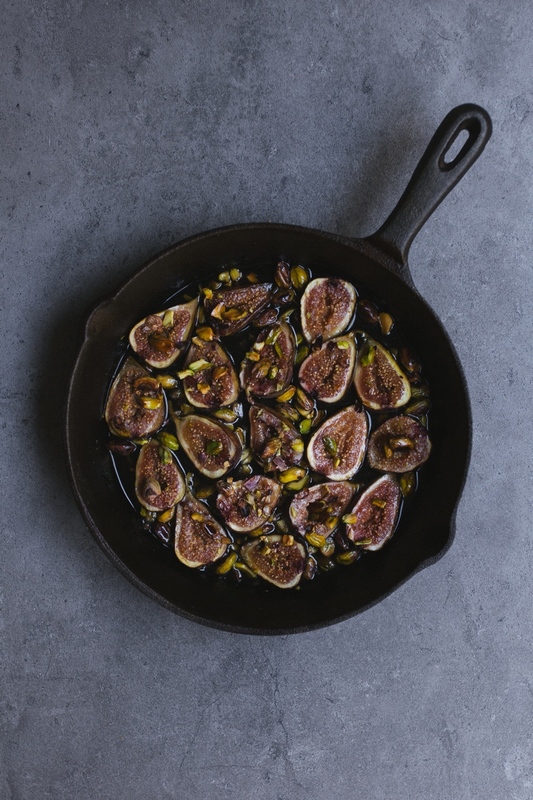 Roast your figs for about 20 minutes pouring syrup which comes out while roasting. 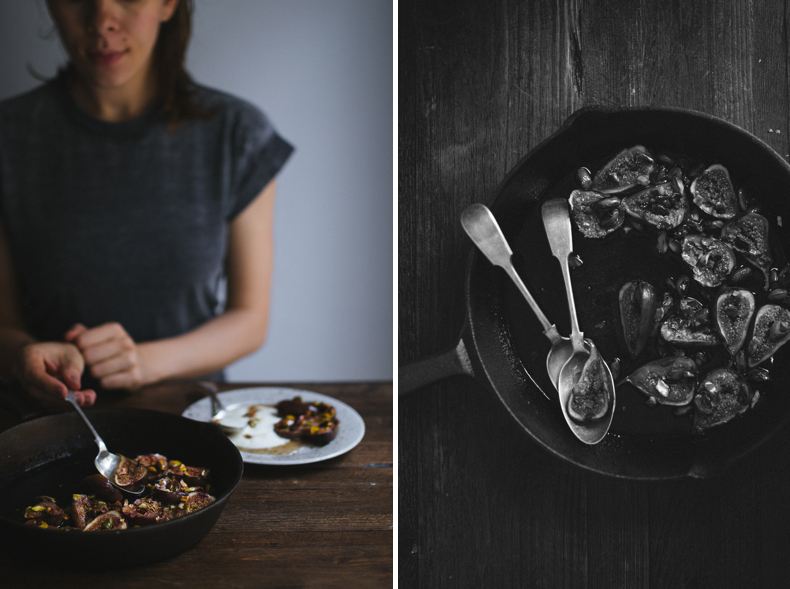 Serve warm with ice-cream, yoghurt or morning porridge! 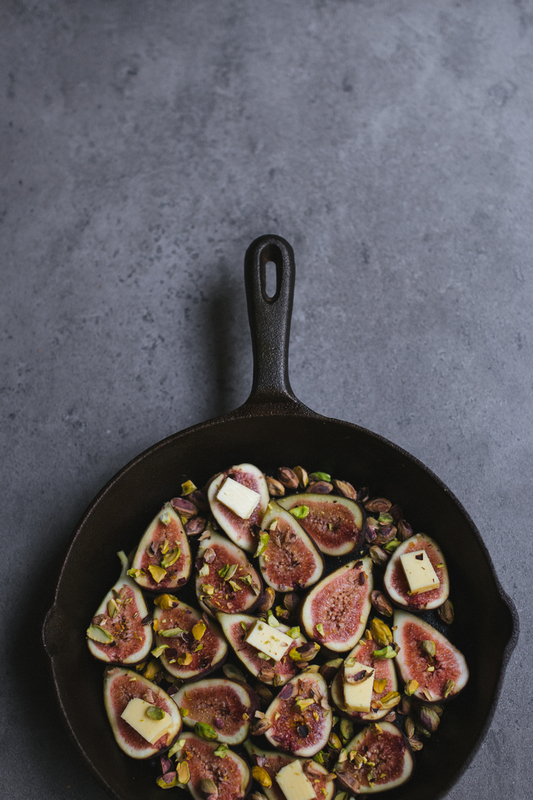 You can also place these roasted figs on the top of a toast. they are amazing any way to eat. Enjoy! Absolutely beautiful! 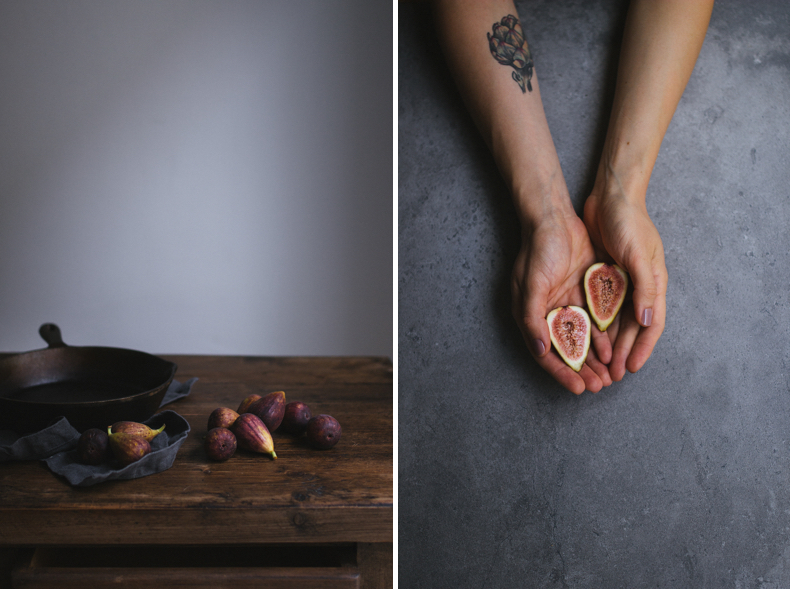 Love that background – is it concrete?